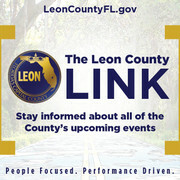 There should be no shortage of candidates to apply for the head football coaching job at FAMU. It’s not likely, however, that Corey Fuller will be on that list. Fuller, who briefly coached the Rattlers as interim before Alex Wood was hired three years ago, is willing to take the job if an offer is made. But Fuller said he wouldn’t apply. FAMU posted the job this past week and interim athletic director John Eason announced an 11-member search committee. “I’m not going to make a big, old stink and go apply for the job and all that,” Fuller said. Fuller, who coached FAMU’s last four games in 2014 after Earl Holmes was fired, is being mentioned by some FAMU supporters because of his success on the high school level. As a first-year coach at Godby, he took the Cougars from a team that won just two games last year to a playoff berth to finish this season with an 11-2 record. Interim head coach Edwin Pata could be another candidate with long ties to FAMU. Pata said he hadn’t considered applying for the job when he was named interim. However, some players on the team have publicly stated that they’d like to have him retained as head coach. While FAMU might not make an offer to Fuller, he is being pursued by at least one other MEAC school. Fuller has been mentioned as a possible candidate to replace Kenny Carter at Delaware State. 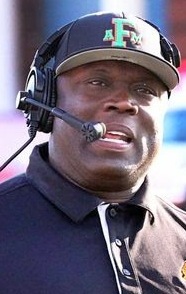 Carter was fired at the end of this season after winning three games in as many years as head coach of the Hornets. At least one current coach in the Mid-Eastern Athletic Conference is among a long list of coaches that have expressed interest in replacing Wood, who resigned at the end of FAMU’s season. 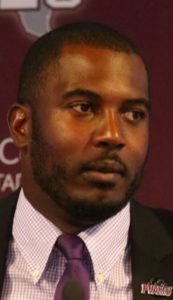 Jerry Mack, who for the past two years has made North Carolina Central a contender for the MEAC title, has been in contact with the search committee. However, FAMU might be more interested in Reggie Barlow, head coach at Virginia State University, according to sources close to the search committee. Joe “Joker” Phillips, a receivers coach at the University of Cincinnati, was also mentioned as a potential applicant. Simmons is a Quincy native and former Shanks High School standout quarterback who played at Clemson and later in the NFL. The search committee is expected to meet this week. Eason said there was no rush to hire a coach, but there is the early signing period (Dec. 20-22) that recruiters have to keep in mind.